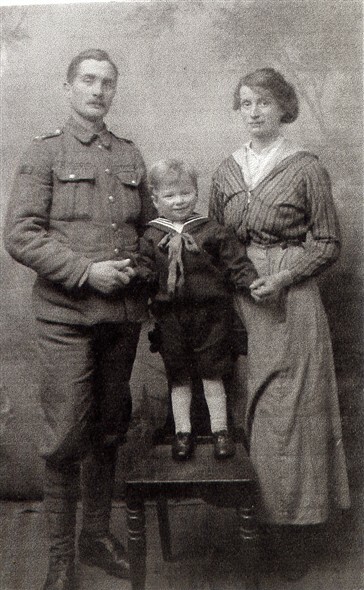 The photo below shows George Packham, a signaller in the Royal Sussex Regiment, with his wife Mabel. Both George and Mabel were born in 1884. Their son, also called George, appears to be aged between 3 and 4 years old.